OutdoorFest is a ten day, citywide festival celebrating outdoor enthusiasts in all five boroughs through community led events. OutdoorFest provides a space for the outdoor community to share their passions. Including ten days kayaking on the Hudson, running through natural forest, and photographing wildlife, in NYC! 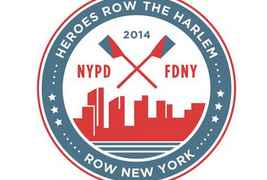 One of the featured events is at Harlem’s Peter J Sharp Boathouse (map), 3579 Harlem River Drive. Come celebrate National Learn to Row Day with Row NY! 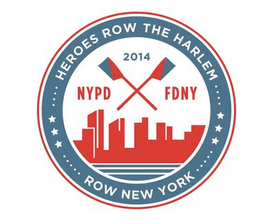 The day kicks off with the inaugural Heroes Row the Harlem race with local police officers and firefighters – cheer for your favorite! Read about their training here. The race is followed by on-land rowing lessons for all. via OutdoorFest, Manhattan | Events | Yelp. Weekend NYC June 7-9, 2013- *14* Events Including: Big Apple BBQ Block Party, Red Hook Jazz Fest, Harlem Open House/Architecture Tour, Wheelchair Tennis Tourney, Brooklyn Pride, Egg Rolls and Egg Creams and More!